Thirty-six years ago, a young computer programmer working out of his parents’ garage was looking for investments so he could create the world’s most user-friendly personal computer. He came upon a financier named John Hines, who managed an Illinois-based venture capital find licensed and supported by the U.S. Small Business Administration. Hines saw the potential and invested half a million dollars in the promising startup. Two years later, the young programmer took his company public, and the VC fund sold its stake for $44 million. The programmer in question is the late Steve Jobs, and the fund that helped seed Apple in its infancy was part of the Small Business Investment Company, or SBIC, program — the SBA’s investment arm. While the SBA is perhaps best known for our loan programs, our SBIC program has helped build many hi-tech brands that will be familiar to holiday shoppers cruising down the electronics aisle this month. America Online, Intel, Compaq and Sun Microsystems all received investments from SBIC funds in their early days. Beyond the iPhone and the long shadow cast by the world’s most valuable company, this year’s gift-giving season includes many SBIC investments in starring roles. Parents helping their little ones customize their own stuffed animal at a Build-a-Bear store are shopping at a business seeded by an SBIC fund; same for those lucky souls who awakened to a Tesla in their driveway on Christmas Day. If you were a last-minute shopper mailing a present to a loved one through Fed Ex, you’re contributing to the legacy of the SBIC that helped build the world’s largest shipping company. If you stocked up on holiday desserts at Costco or took the family to Outback Steakhouse or Quiznos for a meal — or if you burn off those calories later using Jenny Craig or Nutri-System – in each case you’ll be patronizing an SBIC success story. Of course, our SBA loan programs have helped build some major brands, too. A former Maryland football player received a quarter-million dollar loan from SBA, and now his Under Armour products are being worn by athletes across the world. If your mom — like mine — loves her Yankee Candles, she may be interested to know that it was an early SBA loan that helped deliver those wonderful scents to living rooms across America. And if your sister is angling for a new pair of shoes (Isn’t she always? ), tell her that SBA helped launch Famous Footwear in Madison, WI, in the 1960s. For many families, Chevy Chase and the vacationing Griswalds will be an instrumental part of their holiday TV line-up this year. Here’s a fun fact: the Winnebago recreational vehicle came to life in the heartland in the 1960s, courtesy of two SBA loans. And lest we forget the SBA’s flagship program to support small business innovators, the Small Business Innovation Research program provided early stage-funding to iRobot, creator of the Roomba vacuum cleaner. I suspect Roomba will be making some post-Christmas cameos as families try to clean up after the holiday stampede. The SBA’s mission is to help small businesses grow. When companies that were once small become some of America’s biggest brands with our help, it gives all of us here at the agency a reason for holiday cheer. Thanks for the loan, SBA; you guys are all right. 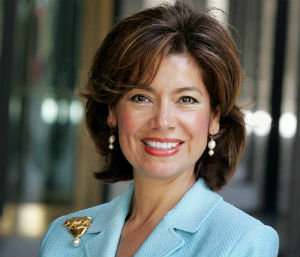 Maria Contreras-Sweet is the 24th administrator of the U.S. Small Business Administration, and serves on President Obama’s Cabinet.